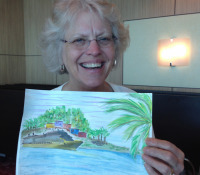 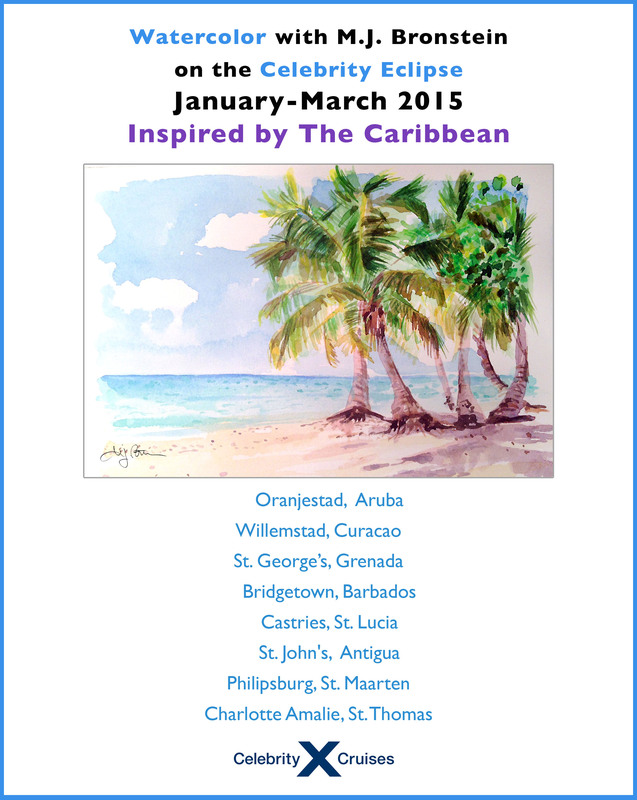 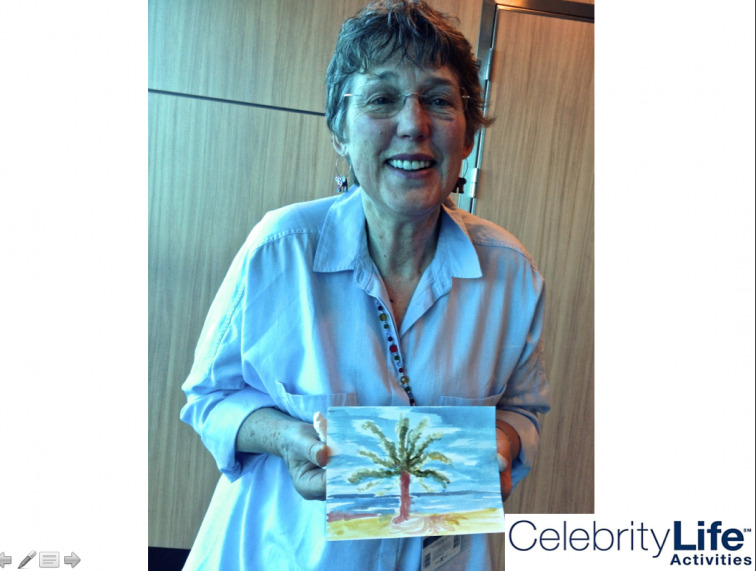 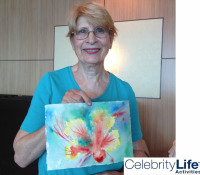 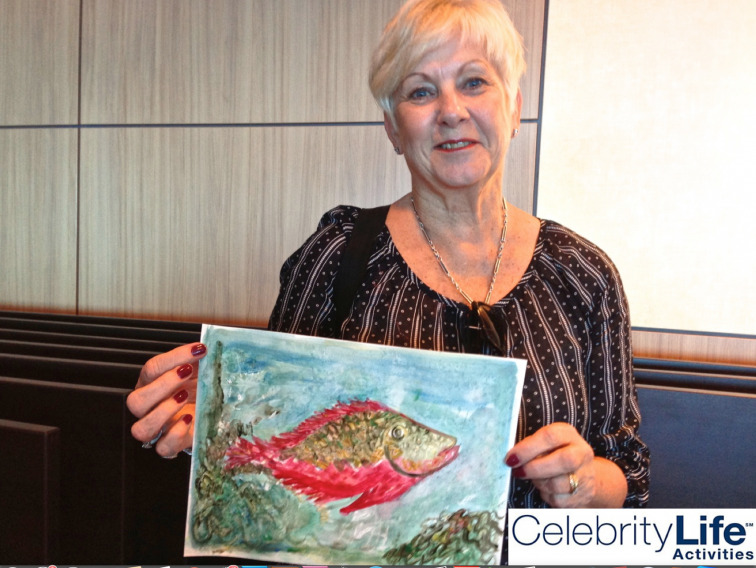 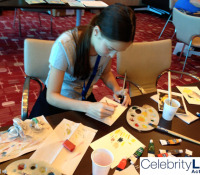 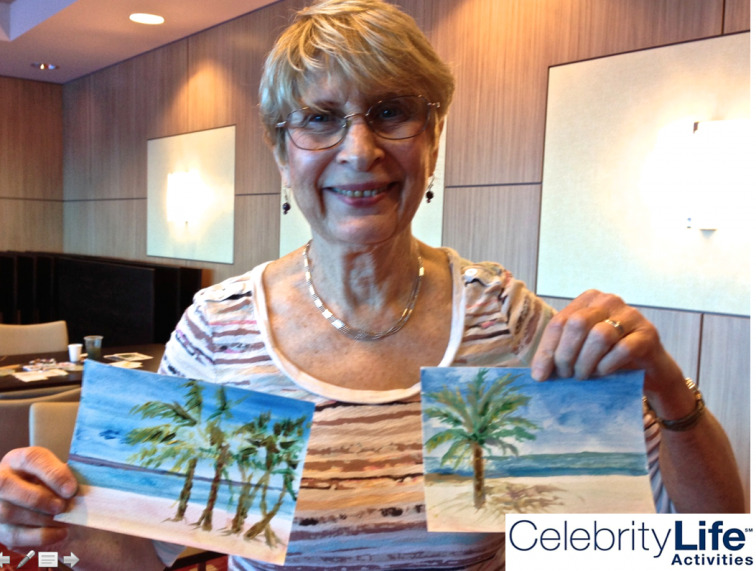 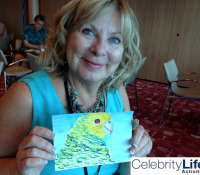 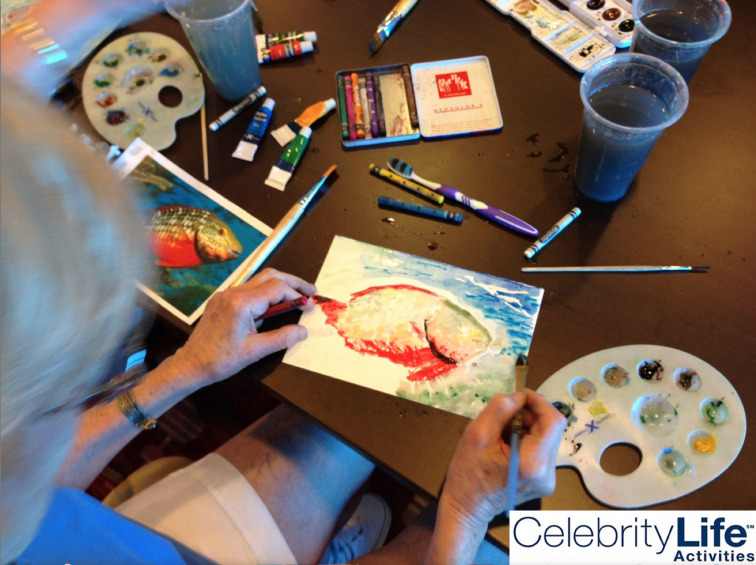 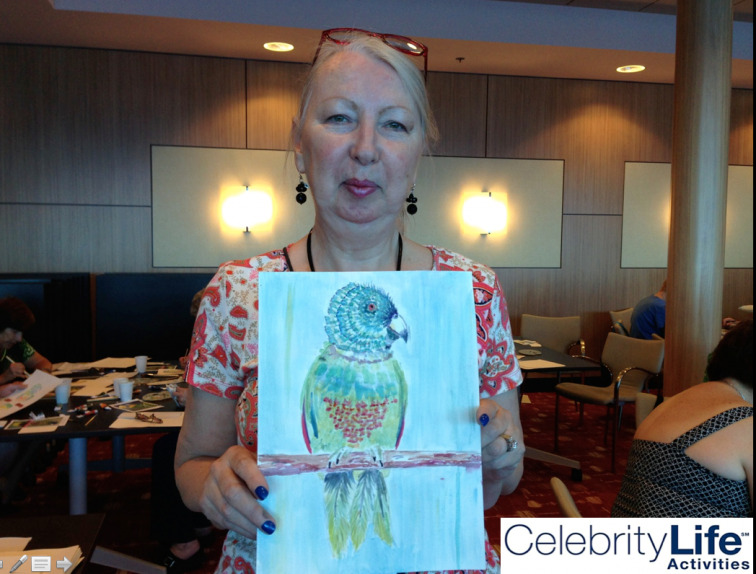 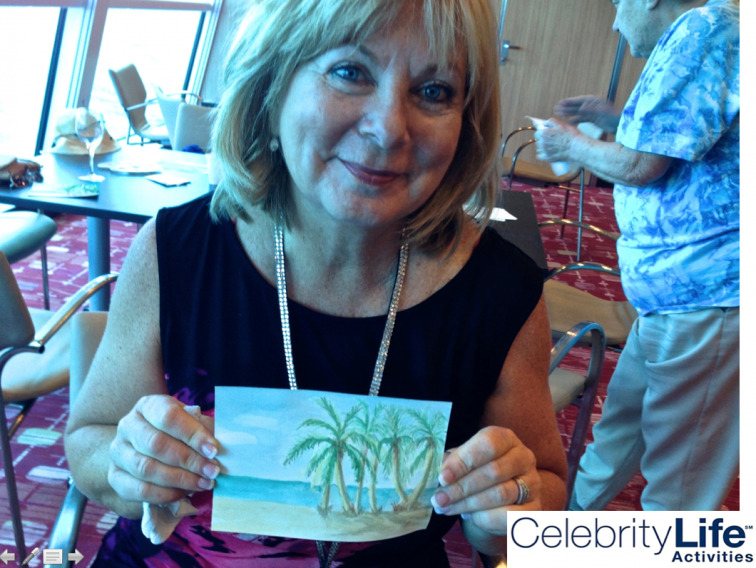 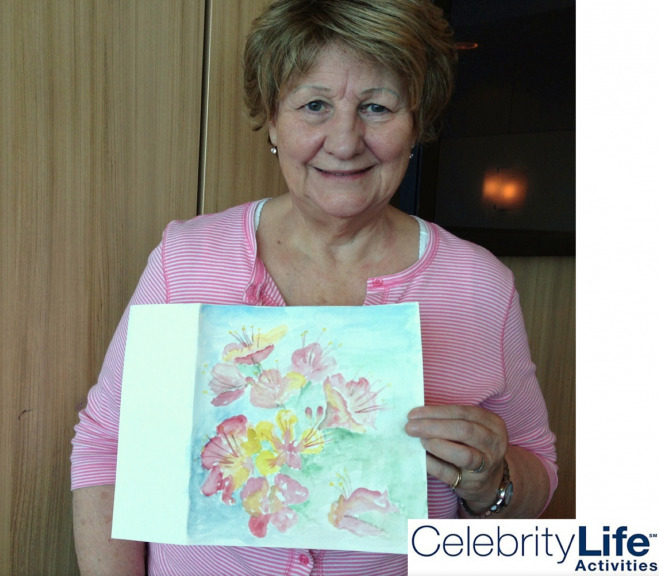 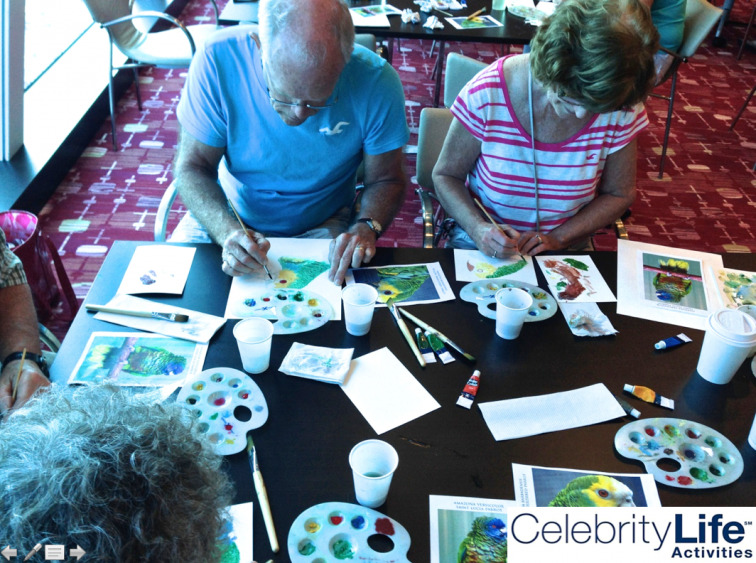 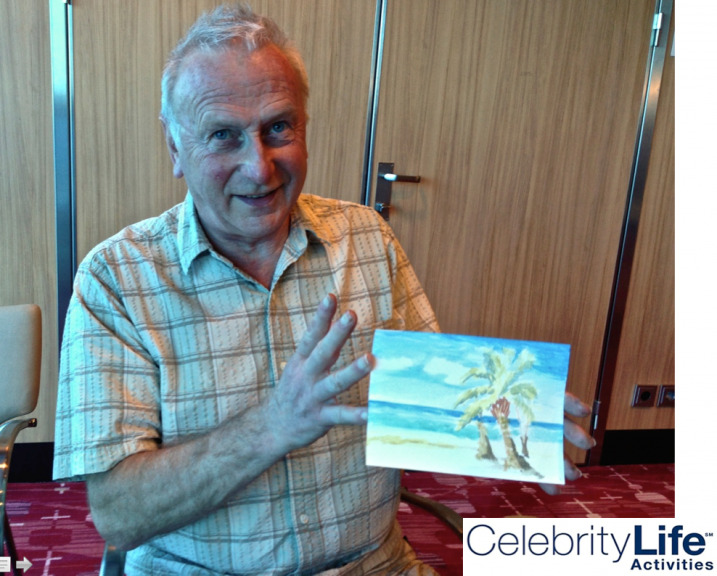 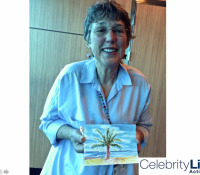 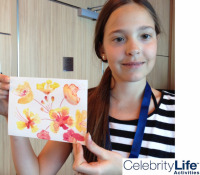 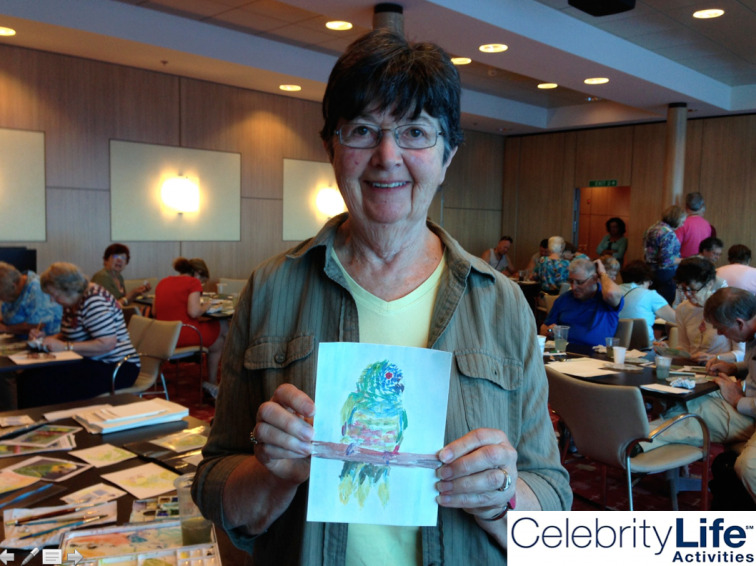 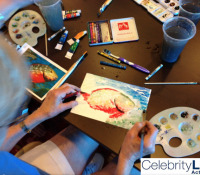 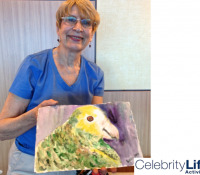 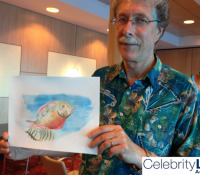 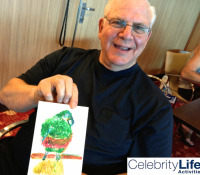 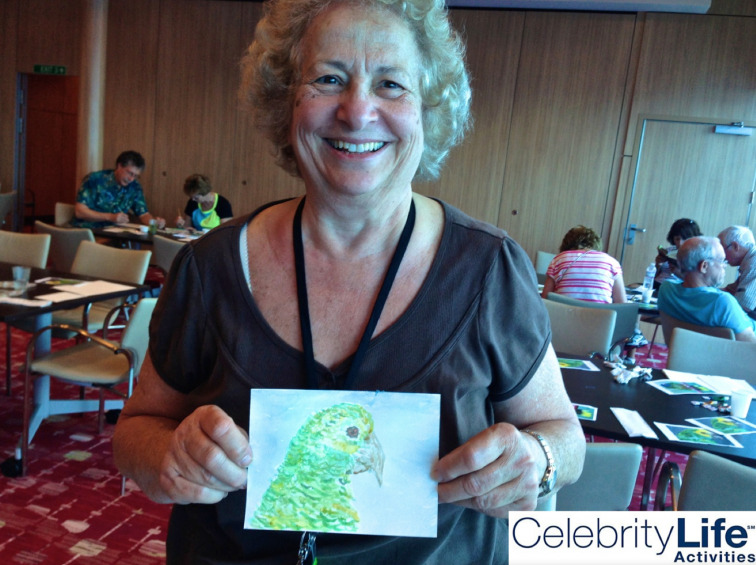 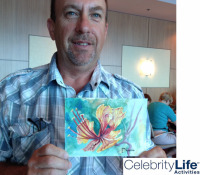 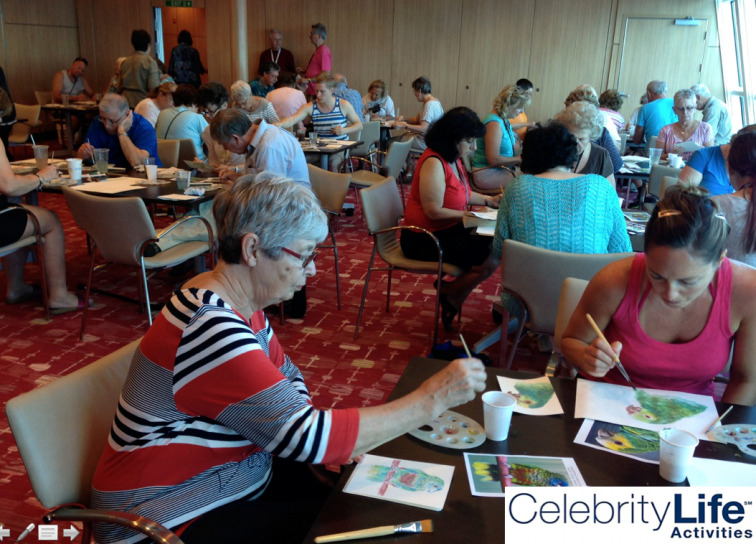 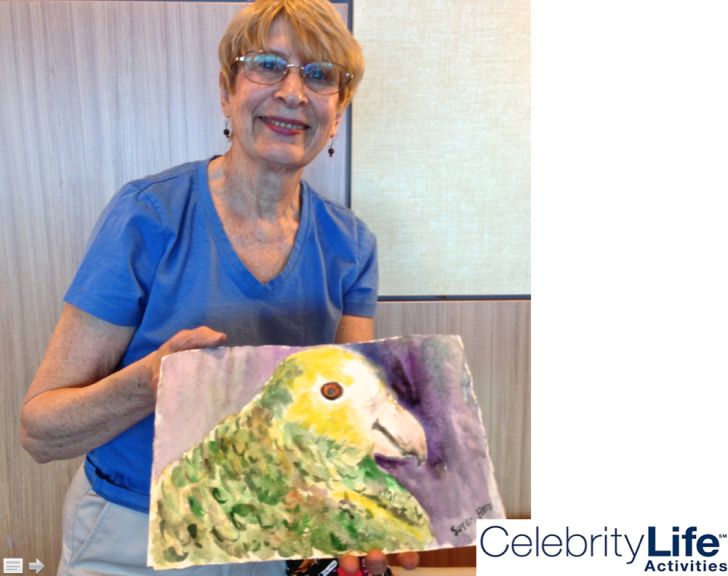 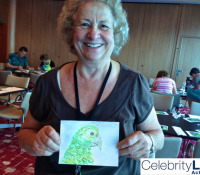 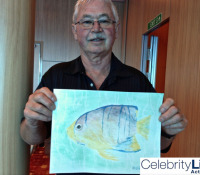 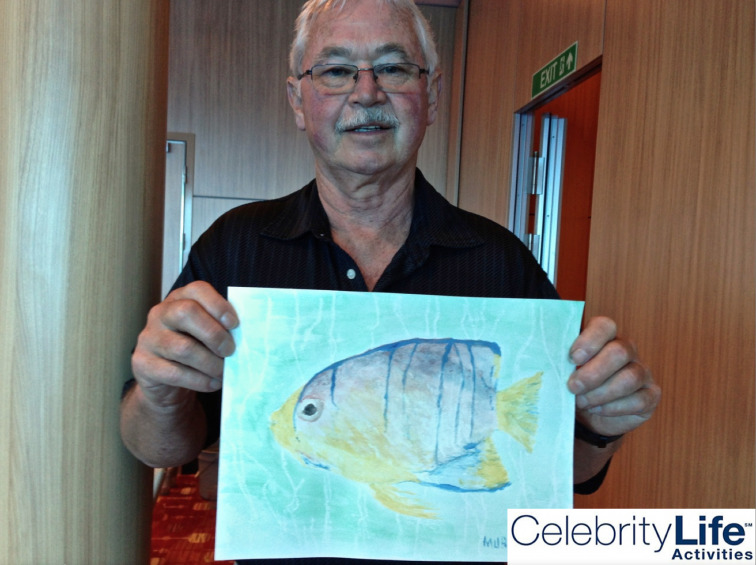 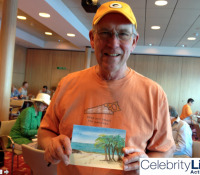 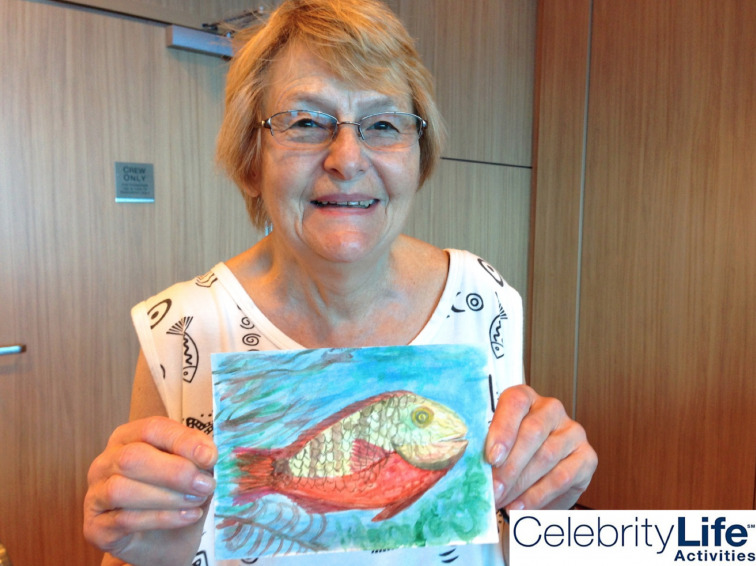 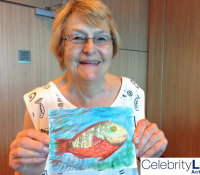 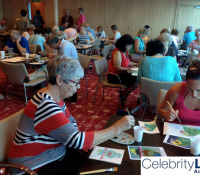 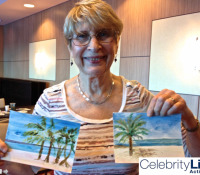 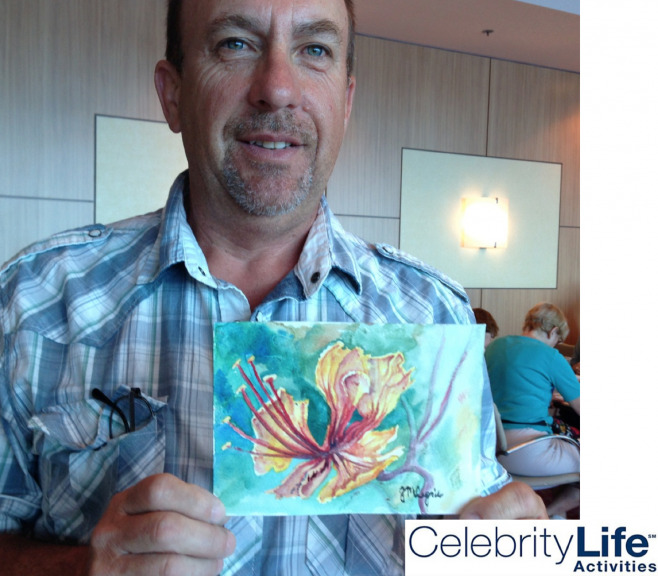 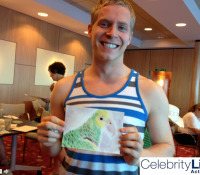 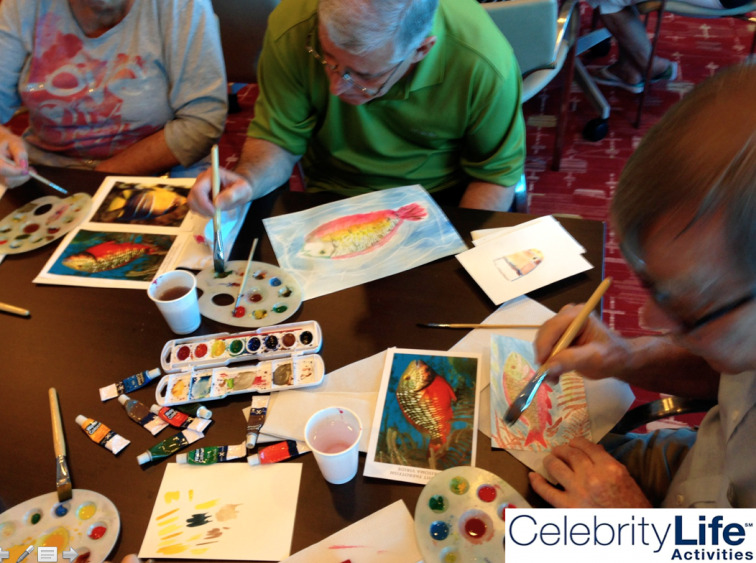 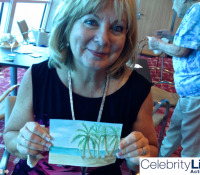 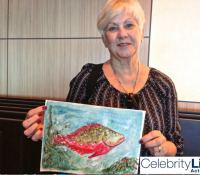 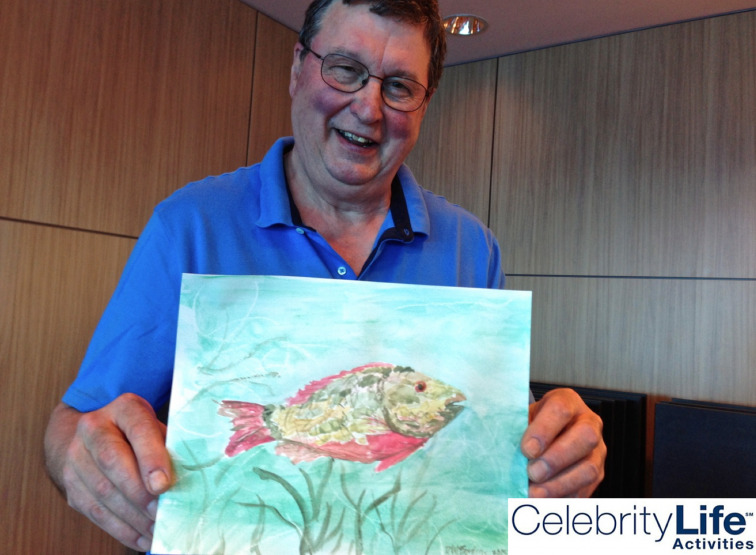 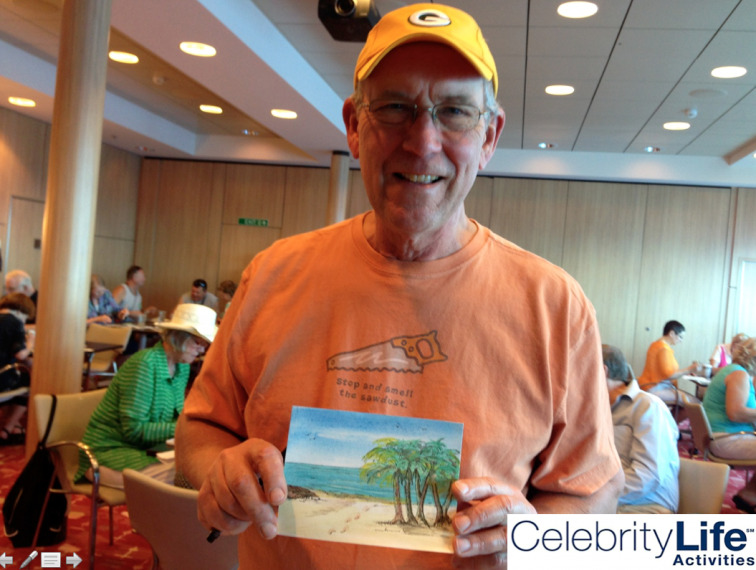 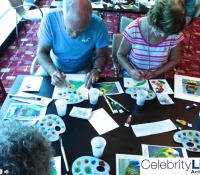 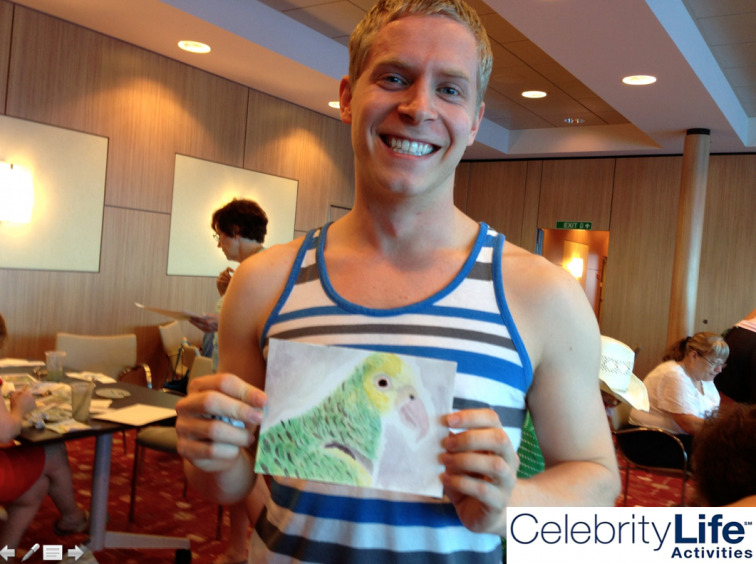 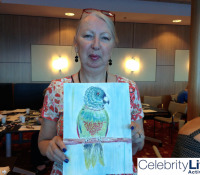 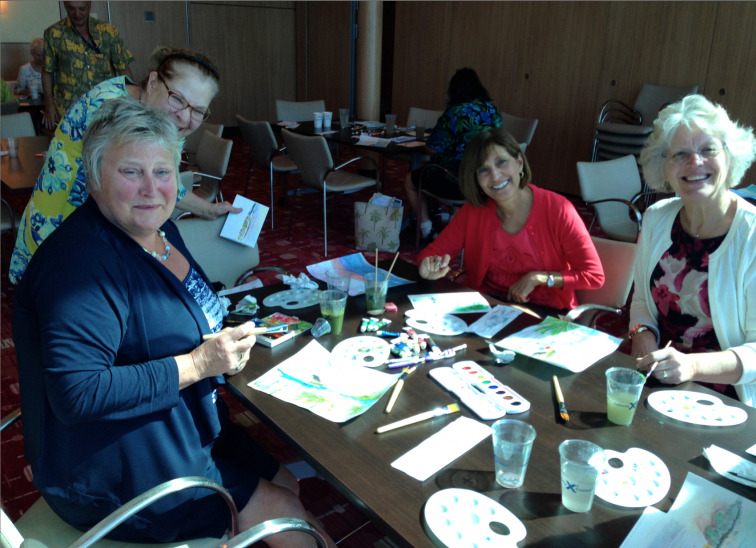 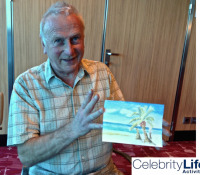 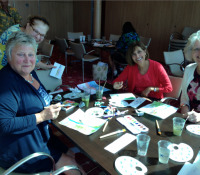 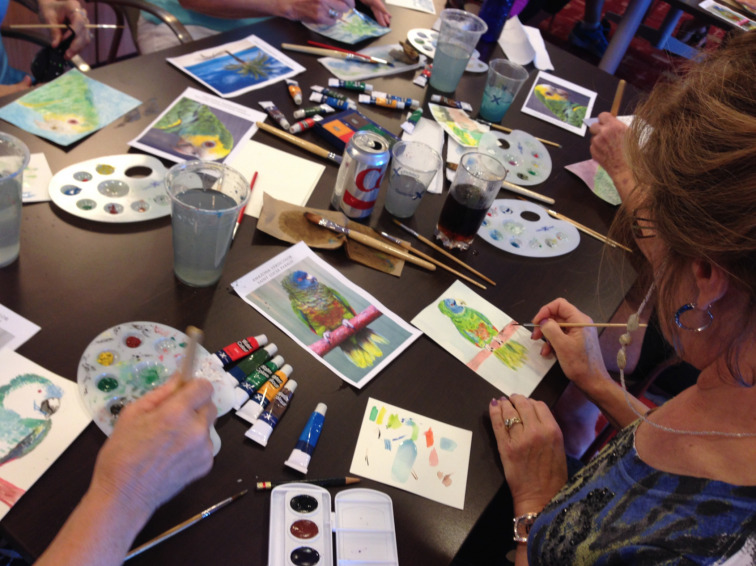 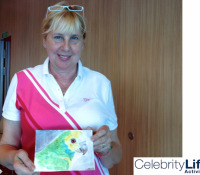 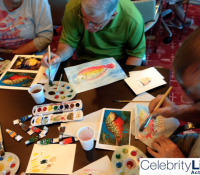 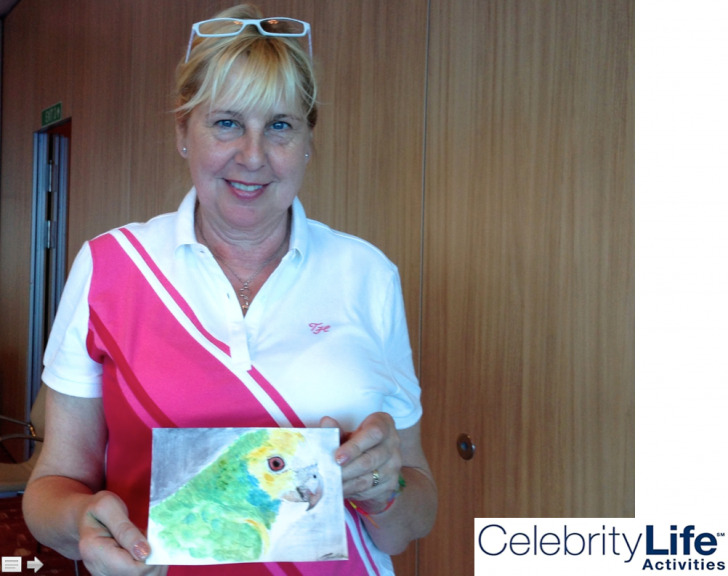 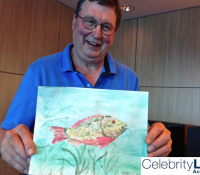 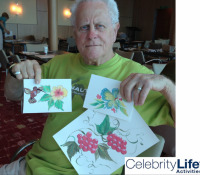 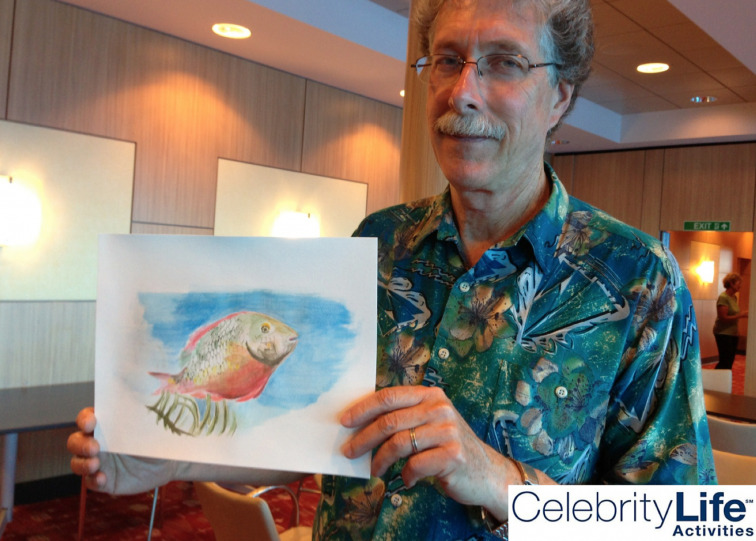 I’ve just returned from six sunny weeks in the Caribbean, working on the Celebrity Eclipse as onboard watercolor artist. 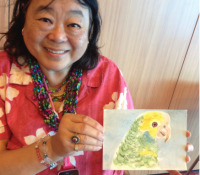 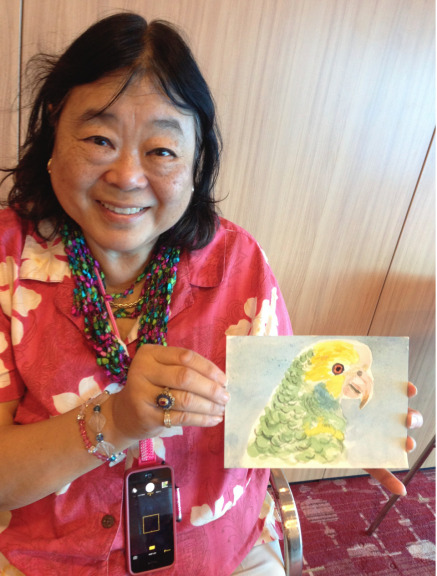 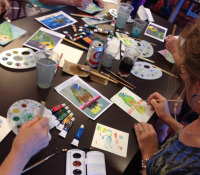 In my workshops, I demonstrated basic watercolor techniques to passengers in small groups and individually; I also shared my travel sketchbook, along with circle-based works from my studio. 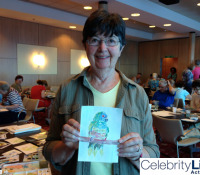 As always, so many of the highlights were due to meeting and working with more than 180 intriguing people. 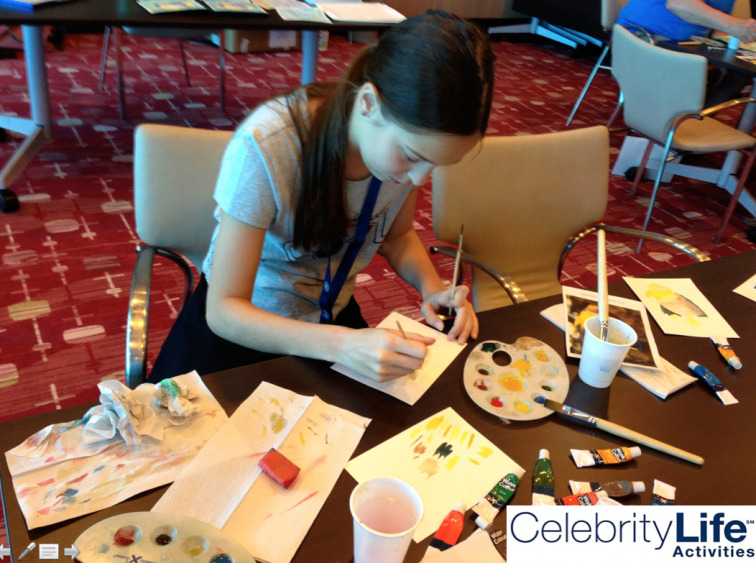 And of course, some terrific paintings were made along the way.